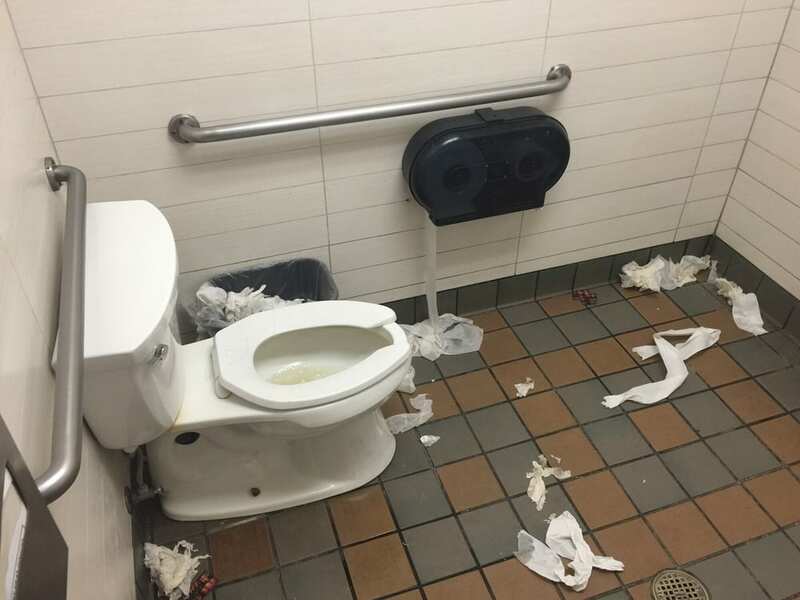 If there’s even the slightest possibility that customers or clients might use your restroom, it will act as a reflection of your business overall. Is this really the lasting impression you want to make? They’ll begin to question other things, even if everything else is of the highest quality. This can have a highly negative impact on your reputation. It could be that customers enter your premises as it’s the only restroom nearby. If they find your facilities are disgusting, they will most likely never return again, losing you a potential future customer. The issue is even more acute for establishments like restaurants. If your restrooms are filthy, people will question the hygiene of your food preparation areas. They will be left with a bad image of your whole business and most likely tell their family and friends to steer well clear as well. It doesn’t take a great brain to understand that the dirtier something is, the more chance there is of it becoming a potential risk to health. Restrooms are used by many people and are the ideal breeding ground for bacteria and germs of all kinds to come together and hang around. Your customers and employees could start to get sick, which won’t reflect well on your business reputation. Now you understand the importance of a clean, hygienic toilet and you’ve taken the necessary steps – how do you keep them fresh and pleasant? Stock up on a good supply of cleaning products, including a mop and bucket, bowl cleaner, disinfectant sprays and a glass-wiping cloth. Always ensure you have a readily available supply of hand soap and toilet rolls. Deal with any bigger issues first, such as blocked toilets, full bins and replenishing supplies. Hiring a professional cleaning service can provide peace of mind, knowing that your restroom cleanliness is in good hands. Previous post: How To Choose Paving Slabs?